Judy Knit Beanie With Bow Just $19.95 Plus FREE Shipping! You are here: Home / Great Deals / Judy Knit Beanie With Bow Just $19.95 Plus FREE Shipping! 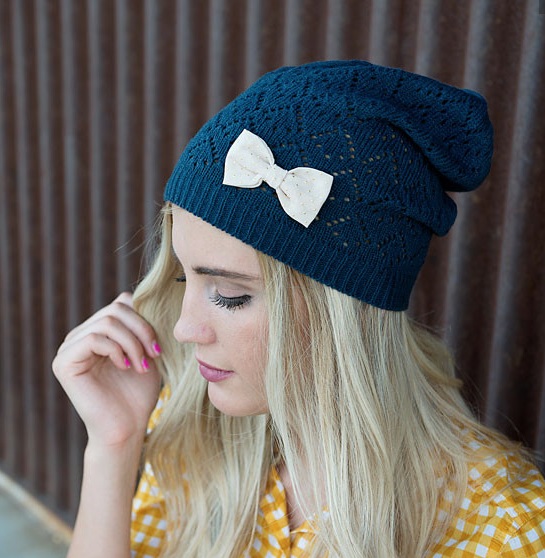 Order this Judy Knit Beanie With Bow for Just $19.95! Plus you get FREE Shipping! If you are not having the best hair day ever or you simply want to look adorable just because – this beanie is perfect for you!